If you love the conveniences and urban lifestyle that comes with living in Philadelphia, but aren’t a fan of the high cost of living and congestion, then you’re not alone. What Philadelphia offers in conveniences can come at a high cost – both financially and in terms of overall quality of life. Things like overcrowding, traffic, and poorly ranked public schools are everyday challenges for those living in the city, all while they’re paying higher wage taxes, insurance rates, and parking fees, as well as more money for smaller properties. If you’ve been thinking about buying a home in Philadelphia for the urban lifestyle but are looking to get a better quality of life for the price, you’re in luck. Media, Pennsylvania is known as Everyone’s Hometown, and it’s immediately obvious why. Covering three-quarters of a square mile, Media is a tight-knit community with a surprisingly urban lifestyle. The walkability of the area means you can enjoy the parks, shops, restaurants, brew pubs, theater, and more, without ever having to get into a car. There are 75 restaurants in Media with diverse styles and tastes, so you’ll never run out of options for a meal out on the town. Prefer to dine al fresco? No problem – on Wednesdays all summer long, Media’s main drag, State Street, shuts down so that restaurants can put their tables and fares out for dining under the stars. It’s a great experience – almost like Europe! Media isn’t all shopping and eating, though. In fact, Rose Tree Park and Ridley Creek State Park are both located nearby. These parks provide over 2,000 acres for you to enjoy hiking, jogging, cycling, fishing, and picnicking. Rose Tree Park also has an outdoor amphitheater. The annual Media 5-Miler is a great event for runners and spectators. The town shuts down the roads for the event and everyone shows up to watch nearly 2,000 runners pass through the streets of Media and then afterwards enjoy live music and a celebration for the whole town. Located in the heart of Delaware county, in the western suburbs of Philadelphia, Media is easily accessible by interstate and regional rail, and is only 20 miles by car from both Center City Philadelphia and Wilmington, Delaware. This prime location is one of the reasons that so many people who work in Philadelphia and King of Prussia choose to buy homes in Media instead. An easy commute, strong sense of community, increased quality of living, and superior school district make buying a home in Media a great choice. Steeped in a rich history that starts before the founding of the nation, West Chester’s strength is in its ability to stay relevant in changing times. It is obvious by the high density of young professionals living and working here that the people of West Chester are modern, forward looking people. The neighborhood offers walkability to restaurants, night life, shops, flex-space and co-working sites, plus easy access to recreational activities like kayaking and hiking. There are almost 80 restaurants in the borough of West Chester and twice that number in the surrounding area. Whether you’re looking for a quick bite to eat or farm-to-table, casual, or fine dining, you’re certain to find it here. There is also a thriving nightlife scene in West Chester, with breweries, nightclubs, and fun places to hang out with friends – inside and out. And good news for dog lovers – West Chester is a very dog friendly community! Residents of West Chester lead very active lifestyles. Outdoor recreation and community events are popular in the area, like the summer cycling classic, where the streets are closed off and professional cyclists race at over 35 mph in front of over 35,000 thrilled spectators. In December, tens of thousands of people, young and old, line the streets to watch the bands, floats, schools, and fire trucks during the Christmas Parade, as we welcome St. Nick and his elves to this special place. In the Fall, West Chester welcomes back its college student population to West Chester University, part of the Pennsylvania university system. Education, from elementary through to college, has always been a priority to the citizens of this town. West Chester is a great option for those who are looking to buy a home in a community with an urban feel, active lifestyle, and quality schools but want to avoid the high cost of living and population density of Philadelphia. Kennett Square is a vibrant community full of restaurants, breweries, pubs, coffee shops, and boutiques that really start to come alive after dark. It is considered an up-and-coming area as the community and local businesses have been focused on increasing the areas appeal. Located about 45 minutes west of Philadelphia, Kennett Square is accessible via I-95 N, which makes it a popular neighborhood to buy a home in for those who work in Philadelphia or even Wilmington, DE. The area is made up of beautiful, historic buildings and downtown often hosts unique, local festivals and celebrations for the whole family to enjoy. 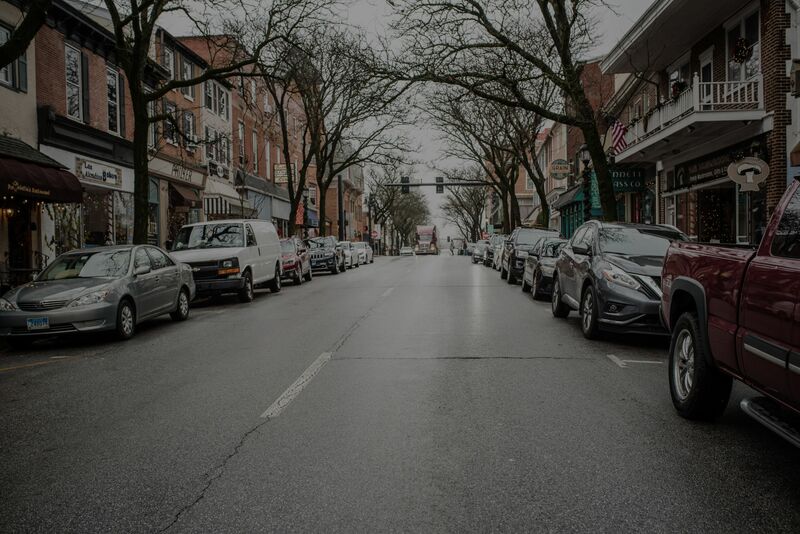 One of the best things about the Kennett Square neighborhoods is that it is completely walkable. This is a huge advantage for working professionals who want to stretch their legs on their way to grab dinner with the family after work. It’s also a big plus for stay at home parents, who want to stroll into downtown for yoga, brunch with friends, or who just want to get the kids out to play and enjoy the midday sunshine at beautiful Anson-Nixon Park. The schools in Kennett Square’s Unionville-Chadds School District are highly rated, and the school district has an A+ rating overall. There are about 3,990 students enrolled in the district, and the student to teacher ratio is incredibly good, at 14 to 1. It is one of the top 10 districts in Pennsylvania for safety, athletics, and overall academic performance. Kennett Square is a great neighborhood to buy a home in if you want a family first community, a walkable lifestyle with great food and nightlife, while still being within commuting distance to Philadelphia or Wilmington. The best way to buy a home in the Pennsylvania and Delaware area is to work with a real estate team who understands the local market and the entire buying and selling process. The Cyr Team is dedicated to informing and guiding buyers so they get the best home for their money. We’d love to connect and discuss how we can help you find the perfect home and make a competitive offer, from the initial consultation all the way through offering and closing. If you’re looking for a specific look, feel, or experience from your new neighborhood, we can help you find just the place.